“Of all the mountain ranges I have climbed, I like the Sierra Nevada the best,” John Muir, the naturalist and founder of the Sierra Club, famously quipped. 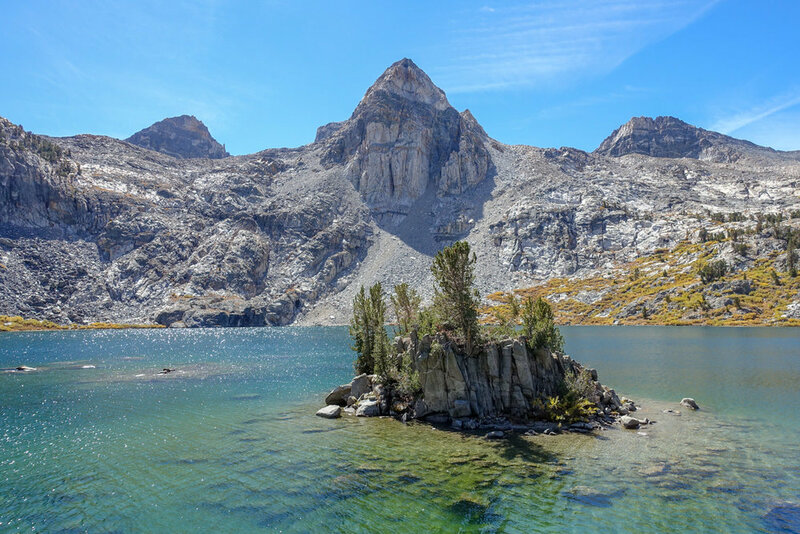 The fact that the John Muir Trail — which offers some of the most scenic vistas in the nation — bears his name is reason enough to follow his footsteps on this magnificent and challenging route. The John Muir Trail begins in Yosemite National Park and travels 210 miles along the High Sierra mountain range through the Ansel Adams Wilderness, John Muir Wilderness, Sequoia National Park, and King's Canyon National Park, culminating at the highest peak in continental United States - Mount Whitney. The route climbs nearly 46,000 feet of elevation and crosses six high elevation mountain passes, with most people taking around 3 weeks to complete. Planning for your thru-hike of the JMT can be a daunting and overwhelming task - not to mention the difficulty in procuring one of the coveted permits. In this guide we hope to break down every detail you'll need to begin preparing for what will surely be an adventure of a lifetime. 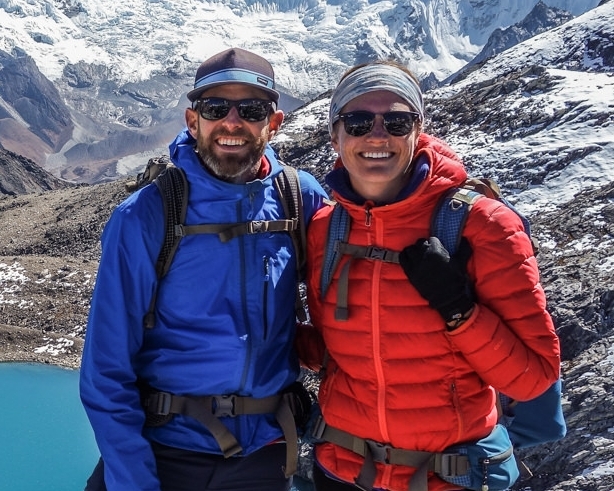 Also, if you’re wondering what gear to bring, we encourage you to check out our John Muir Trail Gear List for lightweight gear considerations and our top recommendations. Peak Elevation: 14,505 ft— summit of Mount Whitney, the highest point in the contiguous United States. Low Elevation: 4,000 ft — the northern terminus at Happy Isles in Yosemite Valley. Elevation Gain/Loss: 46,000 ft./38,000 ft (north to south). Although it’s possible to hike the JMT as early as mid-June for those equipped for snow travel, the best time to hike is generally late July through early October. This is highly variable year-to-year and it really depends on the season’s snowfall. There are pros and cons to hiking in each month. July can offer very pleasant weather, but raging rivers can be potentially dangerous to ford. Often August has near perfect weather, but mosquitos and flies can be at their worst. By mid-September, the days are shorter, the nights get progressively colder, and you’ll have to navigate the possibility of early snowfall in the High Sierras. Also, planning late-season resupply can be complicated by closed resupply depots along the route (they usually starting closing late-September to mid-October). Most people complete the John Muir Trail in about 3 weeks. Although the official trail ending at Mt. Whitney is 210 miles, you’ll still need to hike down to Whitney Portal after you summit, resulting in an end-to-end total of 221 miles. 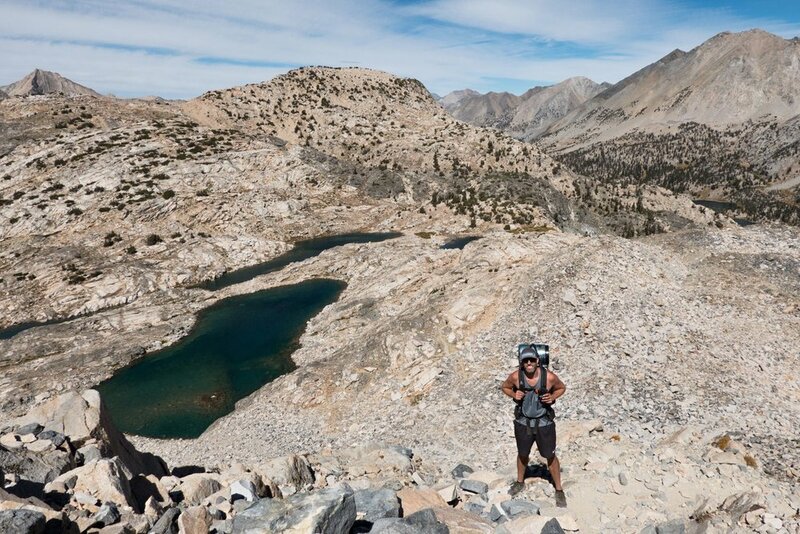 While experienced ultralight backpackers packers may hike the trail in around 2 weeks, the miles in the High Sierra are hard, with a lot of elevation gain. Most people calculate in a couple “zero” days (rest days) and take the trail at an enjoyable pace. When you apply for your permit, you’ll have to estimate how many days you’ll be on the trail, including any zero days. You are not allowed to be on the trail after your exit date, but it’s perfectly fine to finish early. Because of this, we recommend building in a couple extra days when you apply for your permit. The JMT is well-maintained, well-signed, and easy to follow so navigation is rarely an issue. That said, we always hike with a good topographical map and compass . The main difficulty of the JMT is its terrain and the length of the trail. Over the course of your trip you’ll ascend and descend eleven mountain passes, many of them over 12,000 feet. 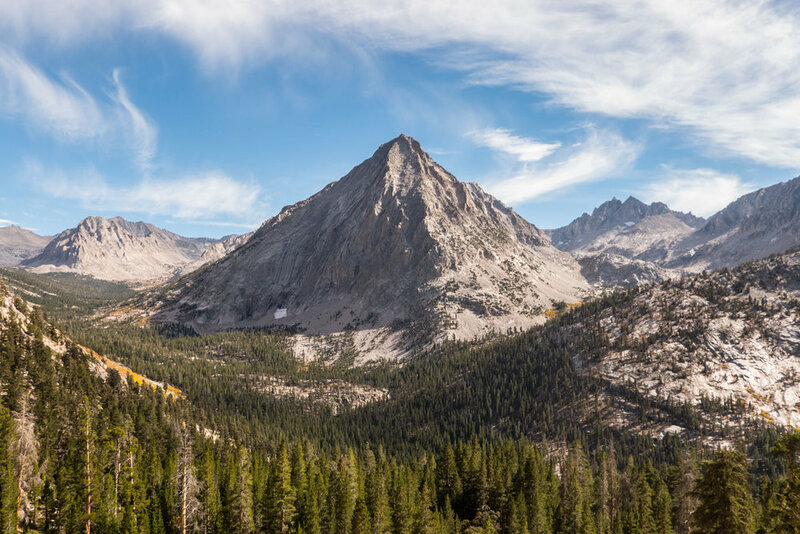 Altitude sickness can bother some hikers along the JMT, though it’s not a common complaint. The best way to minimize altitude issues is to hike the trail from north to south. You’ll naturally acclimatize and get stronger as you climb progressively higher passes on your way to Mt Whitney. One of the disadvantages of going south to north is the significant and quick altitude gain from Yosemite Valley. Depending on the season, fording rivers can be a challenging, if not dangerous endeavor. We recommend brushing up on How to Safely Ford Backcountry Rivers before setting off on your trip, regardless of when you begin your hike. A permit is required to hike the JMT and the process is one of the most competitive in the country. Permit applications for the John Muir Trail have more than doubled in the last five years and in an effort to reduce environmental impact, a strict quota and lottery system is in place. The advanced lottery limits the number of trekkers who can exit the Yosemite Wilderness over Donohue Pass to just 45 people a day. More than 97% of permit applications are denied, so you’ll need flexibility, patience and persistence if you’re hoping to score a permit. Thankfully, the JMT now has its own online permit process, so gone are the days of faxing in a paper application. For more information on the wilderness permit process for the JMT, we recommend visiting the NPS.gov page. If you’re applying for a JMT permit that begins in Yosemite and ends over Donahue Pass (Whitney Portal), you can now submit one permit application which allows you to participate in 21 daily lotteries. You should submit this application 168 days (24 weeks) before your desired start date. Permit applications are accepted up to two days before the lottery takes place (170 days before your start date). That means if the lottery for your start date is on a Friday, send your application in as early as Wednesday. Requests are accepted from February 1 through March 15 for start dates in July, August and September. Dates in these months almost always fill completely during the advance lottery, however if there are any remaining spaces they’ll be made available in the online system starting April 1. To apply for a JMT permit, complete an online application. You’ll need to know your start date, where you’ll camp your first night, your trip leader, group size, end date, ending trailhead, and if you want to hike Half Dome. Below we’ll walk through the different components of the online application. BEGINNING TRAILHEAD - The four trailheads that can be used to access the JMT from Yosemite are: Happy Isles, Sunrise lakes, Glacier Point, and Lyell Canyon (see below for more detailed descriptions on trailheads). On your application, you’ll list each trailhead in order of priority, along with the location of your first night’s camp. EXIT TRAILHEAD - If you are completing the classic JMT route from Yosemite, you’ll choose Whitney Portal as your exit trailhead. DATES - You’ll be required to list your first and last desired start date (21 day range maximum). Having a flexible start date can greatly increase your chance of getting a permit. You’ll also have to list your trip length - we recommend overestimating the length of time it will take by a day or two. You can finish the trail early, but you can’t be on the trail past your exit date. GROUP SIZE - You will identify how many people are in your group. There’s a maximum group size of 15, though your chances of getting a permit decrease drastically the larger your group size. HALF DOME PERMITS - As part of their JMT hike, many people choose to take a side trip to the summit of Half Dome in Yosemite. If you haven’t done this, it is absolutely worthy and a bucket-lister itself. The vistas are some of the best in the valley. As part of your JMT application, you will be asked if you want to apply for Half Dome permits as well. For more information on this hike, check out our Complete Guide to Hiking Half Dome. TRIP LEADER - The last part of the application is regarding trip leader information, which is pretty straightforward. Once your permit application is received, you’ll receive an email confirmation from the Yosemite Conservancy. Then you will receive daily notifications, via email, informing you if your application has been granted or denied. If denied, your application will roll over to the next day’s lottery until the date range specified expires or your request is granted. If you are granted a permit, there is a nonrefundable processing fee of $5.00 per person, plus $5.00 per transaction. You will not be charged if you are denied. If you get a permit, you will have 14 days to pay for your permit or your reservation will be cancelled. You’ll receive an email with instructions to pay online. If you were denied a permit in the advance lottery, there is still a slight chance you could get a walk-up permit. Beginning in 2018, walk-up permits were eliminated for Happy Isles, Glacier Point, and Sunrise Lakes trailheads. Your best option is to try for one of the 10 walk-up permits set aside for the Lyell Canyon Trailhead (Toulumne Meadows), but success is far from guaranteed. They become available at 10 am prior to your desired start date and are highly competitive, so we recommend getting there early. 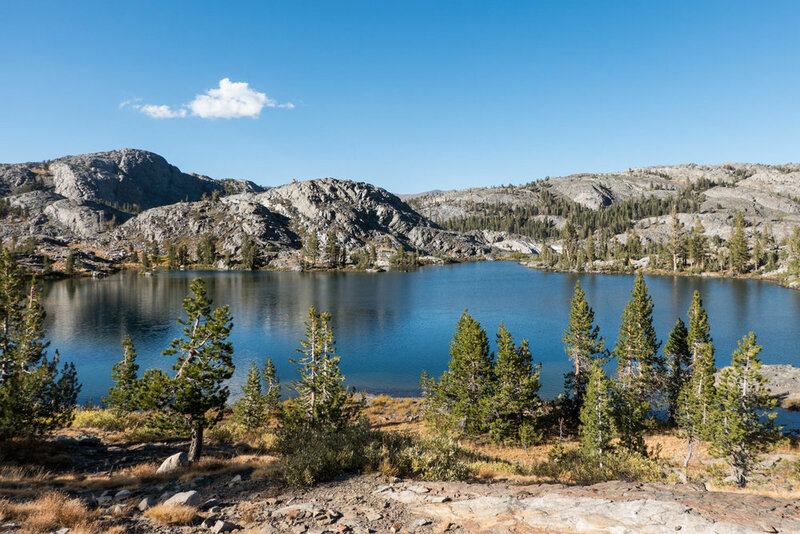 Sunrise Lakes - This trailhead begins near Tenaya Lake on Tioga Pass Road, roughly 8 miles from Toulumne Meadows. 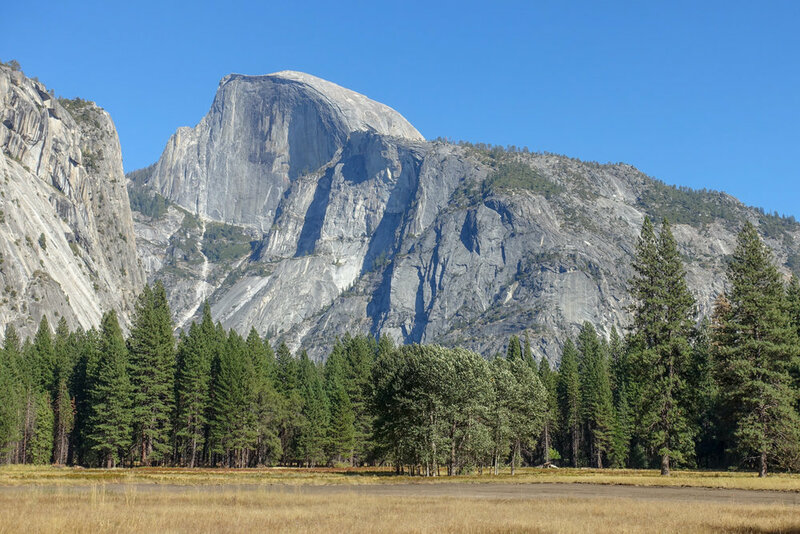 If you begin here, you’ll miss out on some of the sights in Yosemite Valley and climbing Half Dome is not really a reasonable option as it would require backtracking. That said, starting at Sunrise Lakes will give you a chance to take a side trip to the spectacular Cloud’s Rest, which doesn’t require any permits. Glacier Point - If you choose to begin at Glacier Point, you will still get to hike by the many iconic Yosemite Valley sights and hiking Half Dome is still an option. The benefit to beginning here is that you start at a higher elevation, easing your first day of climbing. The downside is that getting to the trailhead is a bit more complicated as it’s located about an hour from where you pick up your permit. Lyell Canyon (Tuolumne Meadows) - Have you already visited Yosemite and all the sights in the valley? Great! Then this may be a good option for you as the trailhead begins in Toulumne Meadows. Your first day of hiking will be relatively flat as you make your way to Upper Lyell Canyon. There are camping restrictions for the first 4 miles after Toulumne Meadows so you’ll need to plan for this on your first day. This is also the only trailhead that reserves 10 permits on a first come-first served basis. ENDING TRAILHEAD - For southbound trekkers, the classic end of the trail is Whitney Portal, which is 10.6 miles from the summit of Whitney. Don’t forget to grab a burger and beer at Whitney Portal to celebrate! Though most people choose to hike the JMT from north to south, there are some who opt for a northbound hike. Hiking north means you’ll begin with an intense climb to Whitney and then gradually decrease in altitude as you hike towards Yosemite. Contrary to popular belief, it is just as competitive to get northbound JMT permits as southbound. To hike northbound, you’ll access the trail from Whitney Portal. Be prepared - your first couple days will be intense. The total climb from Whitney Portal (8,374 feet), to the Whitney Summit (14,505 feet) involves an unrelenting set of switchbacks that climbs 6,131 feet in just 11 miles. Because of this, many choose to break up the climb over two days. 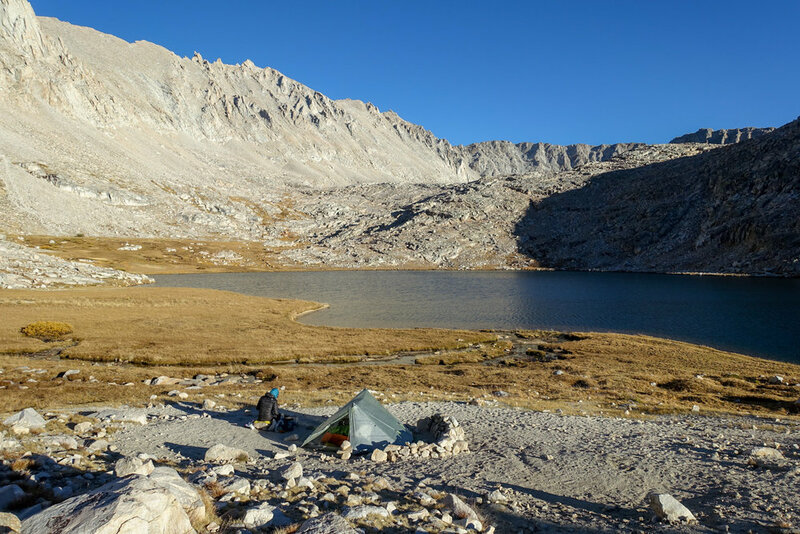 FIRST NIGHT CAMP OPTIONS - To break up the climb up the Mount Whitney Trail, you can spend your first night at Outpost Camp at 3.8 miles or Trail Camp at 6.3 miles. Many northbound trekkers prefer Trail Camp for its incredible views, though temperatures can dip below freezing and it can be windy, even in peak season. Outpost Camp offers better weather protection and a chance to start acclimating to the high elevation you’ll encounter along the JMT. The tree canopy here also provides wind relief, plenty of campsites and water. Around mile 8.8, you have the choice to either do the out-and-back side trip to summit Whitney (you definitely should) or continue on the JMT as it descends west towards Guitar Lake, which is a great (yet busy) place to camp as well. Just like southbound permits, permits originating from Whitney Portal are issued via lottery on recreation.gov. All permit applications are submitted in the same timeframe and all applications are processed through the same lottery after that timeframe. For northbound trips, submit your application to the lottery from February 1 to March 15. Around March 24, the lottery results are announced online at recreation.gov via your profile. If there are any remaining permits (for any dates) they become available online on April 1. You must accept or confirm your approved permit by April 30, or you lose it. Unclaimed permits on that date are released at a random time during the day on May 1; check on this at recreation.gov. but don’t get your hopes up too high. It’s a long shot. If you’re hiking the JMT in the peak months of July, August, and early September, getting to and from trailheads is relatively easy. Outside of the peak summer season, transportation options can become more limited and more costly. Below we’ll outline everything you need to know to get to and from your trailheads. If you are arriving by air for your JMT hike, there is a good system of transportation in place to get you from the airport to your starting trailhead. Below are the most common airports people fly into. Mammoth Lakes Airport - The closest and most convenient airport to the John Muir Trail. If you’re flying into Mammoth, it’s easy and affordable to use YARTS to transfer to the Yosemite Valley to begin your hike. Fresno or Merced Airports - Both of these airports are convenient as they’re connected to the Yosemite Valley via YARTS. Reno Nevada Airport - Often flying into the Reno Airport is the cheapest route, though your transportation options after that are a bit more involved. After you land, you can catch the Eastern Sierra Transit to Lee Vining, Mammoth Lakes or Lone Pine, CA. From Lee Vining or Mammoth Lakes, transfer to YARTS to make a connection to the Yosemite Valley. Long-term parking is available at both ends of the John Muir Trail at either Whitney Portal or the backpacker’s lot near Curry Village in Yosemite. In our opinion, the easiest option is to drive yourself to where you plan to exit the trail and take public transportation to your beginning trailhead. For example, you can park a car at the Whitney Portal trailhead and take public transportation or a shuttle to the Yosemite Valley (more on that below). The concept of “hiking back to your car” rather than parking where you start is generally the most convenient option because your beginning date is set and you can arrange transportation accordingly. Parking your car where you start can be logistically more complicated because it’s difficult to estimate your exact exit date and public transportation reservations can fill up quickly in peak season. It’s not impossible - it’ll just require more flexibility and patience. For those needing transportation, there’s a remarkably effective public transit system in place to make it convenient and affordable for JMT hikers to get to and from trailheads. The two services you will likely use are the Eastern Sierra Transit (EST) and Yosemite Area Regional Transit (YARTS ). The Eastern Sierra Transit (map above) offers transportation between Reno, Mammoth Lakes, Lone Pine and other JMT trailhead communities. If you parked a car at Whitney Portal, you’ll still need to get to Lone Pine (about a 20 minute drive) to catch the EST bus. You can either press your luck and hitchhike (not the best idea if you’re short on time) or arrange a ride. A reliable option is East Side Sierra Shuttle, which offers rides from Whitney Portal to Lone Pine for $65 for the 1st person and $20 for each additional person. After you get to Lone Pine, your best option is to take the YARTS from Lone Pine to Mammoth Lakes. Reservations are recommended, especially during peak season. 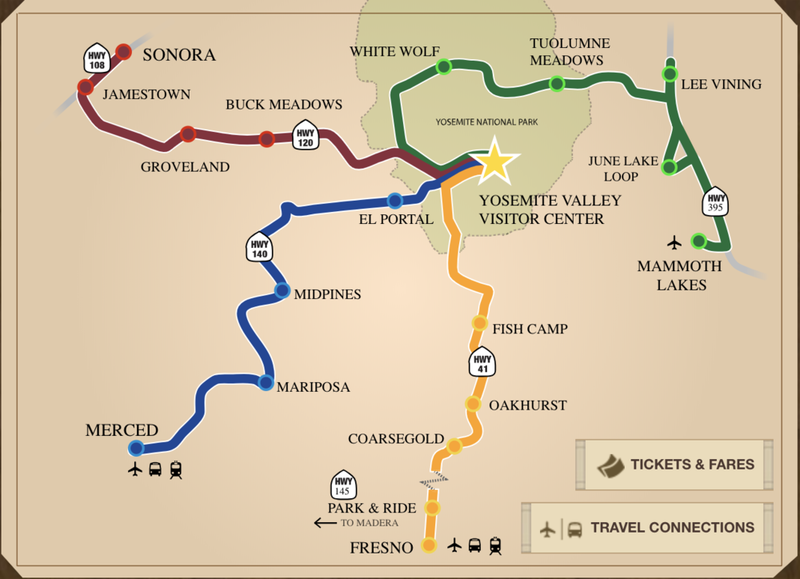 Once you arrive in Mammoth Lakes, you’ll transfer to the YARTS green line (see map below), which will take you right into the Yosemite Valley. Additionally, if you arriving by air, the YARTS system is a great option because it connects to airports in Mammoth Lakes, Fresno, and Merced. Reservations are recommended, especially during peak season. If you’re looking for a relaxing, traffic-free, and beautiful way to get to Yosemite, you can travel by Amtrak from the San Francisco, Oakland or Sacramento area. You’ll take the train to Merced, CA where you’ll transfer to YARTS, which takes you directly into the Yosemite Valley. A variety of private shuttle companies, like East Side Sierra Shuttle, can be reserved and arranged for pickups and drop-offs for common JMT access points on the east side. Shuttles like this are generally the most costly options, but they’re also the most direct and expedient way to get around. If you are hiking very early or very late in the season, a private shuttle may be your only option. 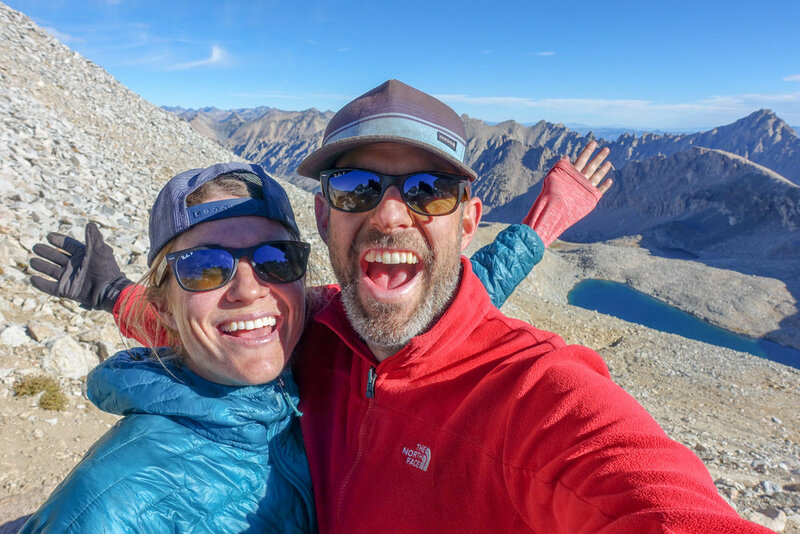 So you scored your JMT permit, congrats! Let the real planning begin. Your next step will be to determine your itinerary. Most people take about 3 weeks to complete the JMT, with many averaging around 10-12 miles a day. That said, very fit and experienced lightweight hikers may cover 15-17 miles a day. 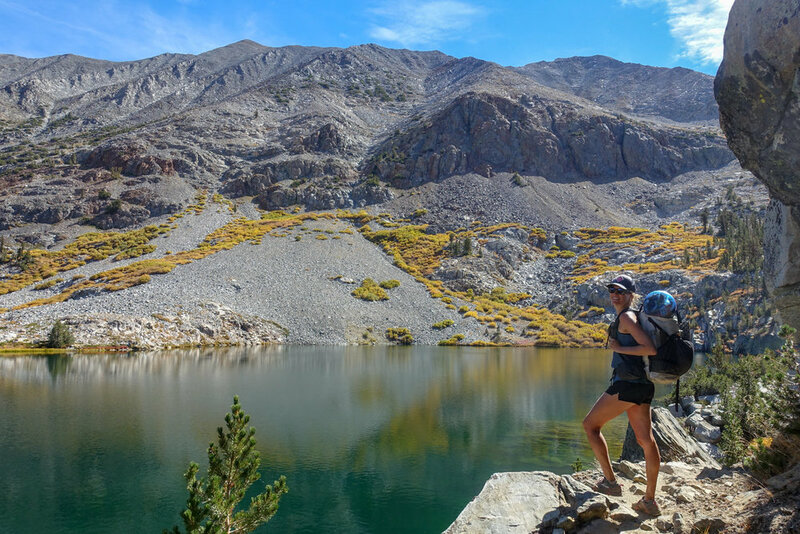 Hiking in the Sierras is no joke, so we recommend overestimating your time on the trail. You can always get off the trail early, but you cannot be on the trail after your exit date. Your plan should take into consideration your ability, personal preferences, hiking style, and pre-trip training. Also, we recommend building 1-3 zero days (no hiking) into your itinerary. Your body will thank you later. It’s often rumbled on the trail that the person who takes the longest is the winner. You were able to snag a permit, so why rush through it? Below is a sample itinerary for those looking to complete the trail in 22 days. Many people begin the hike with lower mileage while they gain their “trail legs”, increasing strength and stamina along the way. Desired daily mileage, physical fitness, and personal preference will dictate your actual itinerary, but you can use this as a point of reference. Hiking the JMT is hard, calorie-gobbling work. You’ll need a ton of calories to sustain your energy and health. That said, food is also an area where people tend to overpack and weigh themselves down. It’s critically important that each item you pack be calorically dense and lightweight. You’ll be resupplying several times along the route (more on that below), but you’ll still be carrying up to 5 or 6 days of food in each stretch, so create your food plan thoughtfully. It’s important to not only consider weight, but also the bulk of your food on your JMT hike. You’ll have to fit all of your food into a bear canister so you’ll want to avoid food that’s too voluminous, like bagels or bags of chips. We recommend repackaging your food into lightweight zip-loc bags to cut down on bulk. You’ll need to plan for one breakfast, one lunch, one dinner, and snacks for each day on the trail. The best way to get organized with your food is to take over a room and make a pile for each day’s food. You can then easily see if you have enough calories in each day and begin packing your resupply buckets/boxes. We suggest checking out our Lightweight Backpacking Food Guide as you prepare your backpacking food. Lightweight meal options such as freeze-dried meals, mashed potatoes, couscous, and other easily rehydrated foods are commonplace on the trail. We recommend packing calorically dense foods such as chocolate, olive oil, peanut butter, and nuts to supplement your meals. Remember, variety is key in your food plan - you don’t want to be 4 days into your hike and regretting your resupply choices. What was in our backcountry kitchen on the JMT? We brought an ultralight BRS Stove and Snow Peak Mini Solo Cookset, which was a featherlight and effective setup for us. That said, many people like the convenience and efficiency of integrated stove systems like the JetBoil MiniMo, JetBoil Flash or MSR WindBurner. For more options and to find the stove that will work best for you, check out our Best Backpacking Stoves post. Because you’ll be on the trail for 2-3 weeks, you won’t be able to carry all your food in your pack. You’ll need to stop and “resupply” several times along the trail. Most people resupply 3-4 times along the route. Generally speaking, you resupply by mailing boxes/buckets ahead of time to either a post office or a predetermined store/hotel. Hiring a resupply service, buying products at small stores (such as Red’s Meadows or Toulumne Meadows), or getting a ride into a nearby town are also common options. If your resupply plan involves mailing packages, you need to ship them at least three weeks ahead of your intended pickup date. For the sake of this post, we’ve outlined the most common resupply points for southbound hikers beginning their hike from Happy Isles in the Yosemite Valley. If you’re a northbound hiker, these points still apply, just in reverse order. The first resupply point for many southbounders who begin their hike in Yosemite Valley is at the well-stocked Tuolumne Meadows Store. It’s set up to serve JMT travelers and is open once the first hikers hit the trail. While many people pick up a pre-sent package here, grab a meal, or buy resupply food from the store, there is another option as well. If your transportation logistics allow and you’re parking a car at the terminus and traveling northbound to begin your hike, you can drop a sealed and labeled resupply box off in the hiker’s box near the Ranger’s Station or at the TM Store (recommended). Though a resupply at mile 24 may seem silly, the climb out of the Yosemite Valley is intense, especially if you opted to climb Half Dome. Every pound off your back matters. You’ll be passing through Toulumne Meadows anyways, so if you can logistically swing it, why not? Though a slight detour off the trail, Vermillion Valley Resort (affectionately known as VVR on the trail) was one of our favorite resupply spots along the way. They are incredibly hiker-friendly and offer thru-hikers a free beer upon arrival. Many people who are planning on resupplying at Muir Trail Ranch forgo this stop because of the off-trail mileage and inconvenience. *According to VVR, this address IS correct; however, the UPS will say that it is not. Please have the UPS clerk override the system with this address. It WILL get delivered at this address. Located near the halfway point, 110 miles from Happy Isles, and only 2 miles off the trail, the Muir Trail Ranch will hold mailed resupply packages for a fee. The Ranch also has a small sundry shop (matches, lighters, batteries, postcards), a restaurant, rooms for rent, and hot springs to soak in. While resupply points along the first half of the JMT are plentiful and convenient, things change a bit after Muir Trail Ranch. You have to make the decision before you begin your hike to either carry all your food from Muir Trail Ranch to Whitney Portal (mile 110 to 220) or to break up this stretch and resupply in Onion Valley. We only recommend the first option for fast and light hikers who are able to complete the final stretch in 6-7 days max. Though resupplying in Onion Valley comes with some inconveniences and extra mileage, for many it’s the only option. For those hiking late in the year when resupply points such as the Muir Trail Ranch are closed, this may be your only option unless you carry all your food from VVR to the end, which would be a very long haul. Resupplying at Onion Valley adds an additional 14 miles roundtrip and will require you to climb over a small mountain pass on the way. 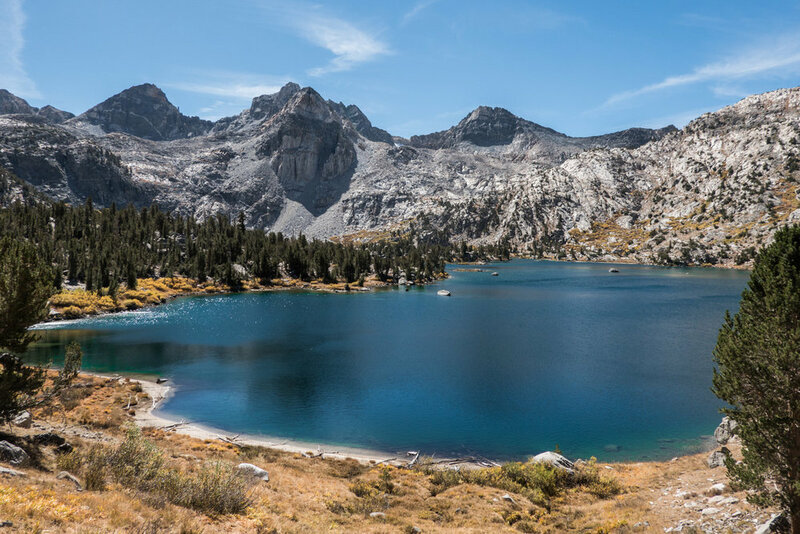 Though additional mileage is a drag, the trail is quite beautiful as you pass Bullfrog Lake, Kearsarge Lakes, and Kearsarge Pass. If you haven’t prearranged a ride from Onion Valley trailhead, you will most likely have to hitchhike into Independence, which is a very small town (a couple gas stations and a few small shops). Many people using Onion Valley as a resupply, either plan to pick up a resupply package at the post office or have arranged some sort of resupply with Mt. Williamson Motel and Base Camp, which will hold boxes or buckets for a a $75 fee for those without a reservation. They also offer a complete (and super convenient resupply package ($195 for one hiker, $395 for two) which includes a ride to and from the Onion Valley Campground, one night lodging, breakfast, laundry, receiving and holding your resupply package, and some other fun perks. Contact the friendly and super helpful woman named Strider at 760-878-2121 to arrange your resupply. If you plan to ship a resupply package to the Independence Post Office, send your bucket/box to the address below. If you have any questions, you can contact them at 760-878-2210. 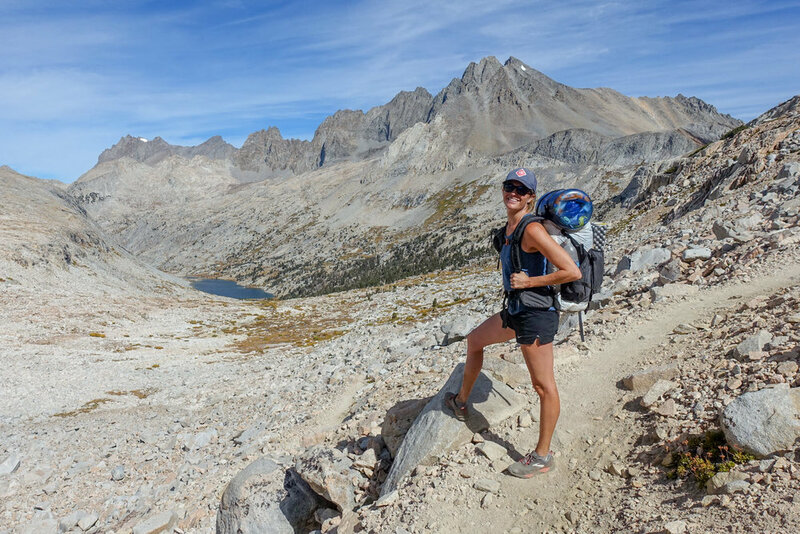 As you begin planning your thru-hike, you’ll find there is no shortage of resources and guides on how to hike the John Muir Trail. The list below contains some of the resources we feel are most helpful in pre-trip planning as well as on-trail maps and guides. National Geographic John Muir Trail Topographic Map - This 48-page pamphlet-style map is an excellent on-trail resource. It’s waterproof, tear-resistant and provides important information on mileage, water sources, resupply locations, campsites, and much more. We used it every single day and thought it was an incredible resource. John Muir Trail: The Essential Guide to Hiking America’s Most Famous Trail - (Wilderness Press) – Some people love this book, while others aren’t so smitten (too much detail they complain, too heavy to hike with, and too small font). But it’s very complete and up-to-date on everything but permitting. John Muir Trail Data Book (Wilderness Press) - This edition is designed for weight-conscious trekkers. On-the-trail information, including custom-made topo maps, elevation profiles, data tables, and labeled panoramas from prominent passes. Also includes trail junctions, nearly 300 campsites, ranger stations, food-storage lockers, and lateral trails accessing the JMT. South-to-North Edition of The John Muir Trail: The Essential Guide to Hiking America’s Most Famous Trail (Wilderness Press) – If you’re determined to hike the trail from south to north, this is your book. John Muir Trail Pocket Hiking Atlas by Erik the Black - Besides detailed, daily navigation topo maps, side trail info, resupply, transit and permit guidance, this super packable guide’s data tables, showing GPs waypoints and distances between points, cumulative mileage and elevation, are located directly on the maps. No need to flip between book and maps. PCTA Resource - Part of the JMT runs along the PCT. There’s some good tips at the PCT association’s website. GutHook App - Almost everyone you run into on the John Muir Trail will have the Guthook App downloaded to their phones. It’s a great GPS resource which is user-updated to give on-trail information regarding water sources, campsites, and other helpful trail info. It can also tell you information such as mileage until the next campsite or location. Be careful - there are some campsites listed on the app that violate wilderness regulations and LNT guidelines. In general, water sources along the JMT are plentiful - it’s rare you’ll hike more than a couple hours without hitting one. That said, late fall can be one of the drier times to hike the JMT because of little precipitation and dwindling snowfields. Always check your map for water sources, consult with fellow hikers, or use the Guthook app for updates on current conditions. If you’re using the National Geographic JMT Map, it will label known waterless stretches, such as the section from Guitar Lake to Whitney Trail Camp, and will indicate where you need to fill up. 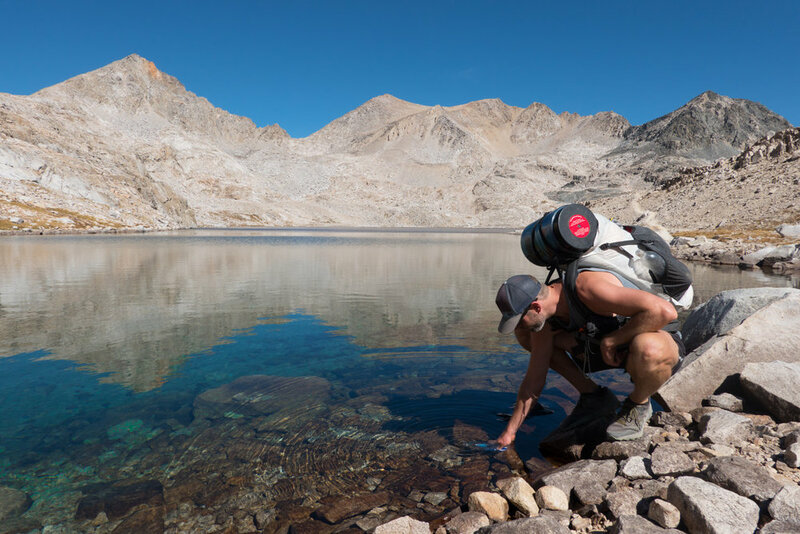 As a rule of thumb, it’s pretty common to hike with no more than two liters at any given time along the JMT. Though many of the water sources you’ll find along the JTM run clear and appear free of sediment, you’ll still want to purify your water. We used the SteriPEN Ultra as our main purification method on the JMT. It's lightweight, works fast, and doesn't require any pumping, squeezing, or chemicals. If using a Steripen, it’s a good idea to bring a small and lightweight power bank such as the Jackery Mini to make sure you always have a backup charge. Another very popular and affordable option is the Sawyer Squeeze Micro. In addition our main purification method, we always backpack with Chlorine Dioxide Pills as a backup if our main filtration system malfunctions, clogs, breaks, or loses battery. Check out our Best Water Purifiers list for our other top recommendations. Since Yosemite, Sequoia, and Kings Canyon National Parks have begun requiring the use of approved bear-proof food storage systems, bears are no longer the problem they were back in the 80s and 90s. In fact, the USFS says human-bear interactions are increasingly few and far between. Bears have learned that backpackers no longer mean easy access to food. That said, it’s critically important you use proper food storage to ensure human-bear interactions remain minimal. 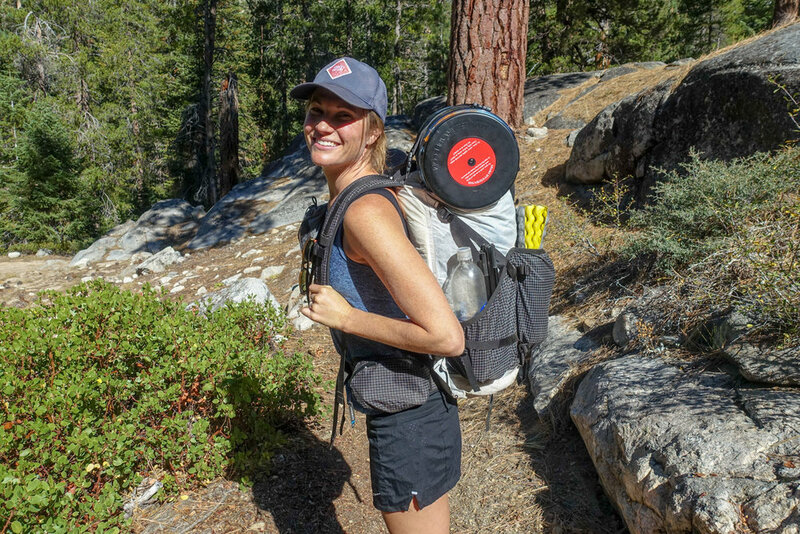 All JMT hikers must carry and store all their food and scented items (toiletries, trash, etc) in an approved bear canister for the entire route. We used the Bear Vault BV500 Food Container and it was a great size for our resupplies. At night, simply place your locked bear canister 100 feet away from your campsite. Avoiding placing it near rivers, lakes, or cliffs. Though most people store bear canisters inside their backpacks while hiking, we found it convenient and comfortable to strap them to the top of our backpacks (just be careful with any food you don’t want to melt. Like chocolate. Mmm.). Mosquitoes and black flies are present along the JMT and can be pretty vicious, especially in July and August. By September, most bugs have dissipated, making it a nice time to hike. The parts of the trail that can be hit the hardest are typically Tuolumne Meadows to Edison Lake, and the Rush Creek drainage. We recommend using a combination of permethrin on your clothing and bringing a small bottle of DEET or Picardin Lotion (our choice) for exposed skin to provide full protection. As with any outdoor space, preventing and minimizing human impact is crucial to the health of our wilderness. Individually, you may think that your fire, shallow cathole, or food straps in the river aren’t going to harm an ecosystem, but there is a large cumulative impact. 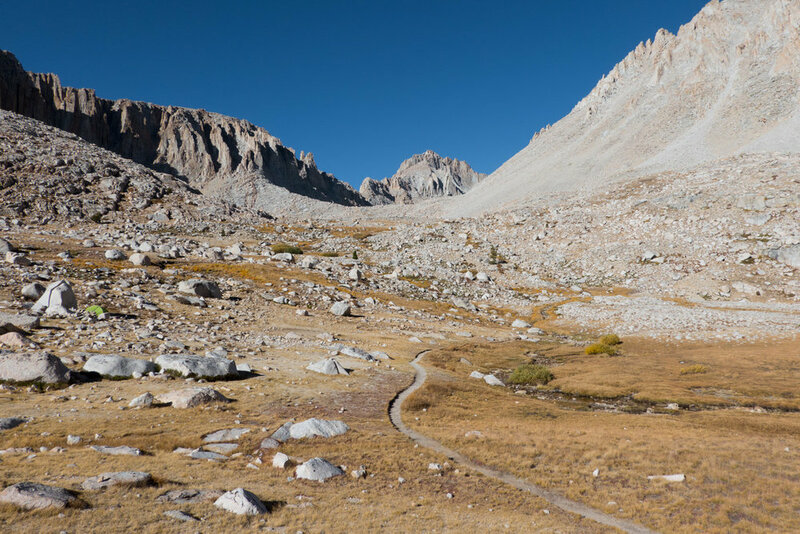 The John Muir Trail is incredibly beautiful, but also incredibly challenging. For this reason, it’s critically important to keep your backpacking weight to an absolute minimum. We try to keep our base weight (everything in your pack minus food and water) to no more than 15 pounds, so that our total pack weight never gets above 25-30 pounds. Dialing in your gear can be expensive and feel overwhelming. But we promise that taking the time to plan and improve your gear setup will make your trek a far more enjoyable and successful experience. 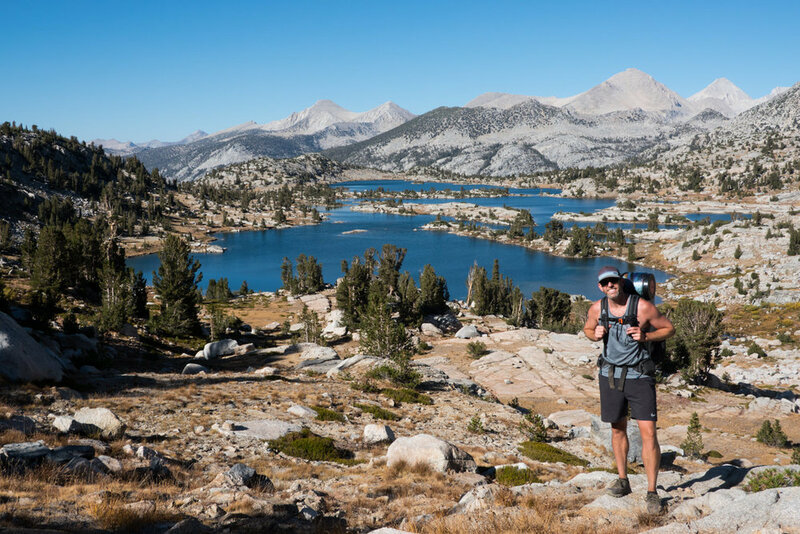 We recommend visiting our John Muir Trail Gear List to help you determine what lightweight backpacking gear will be best for you. For even more recommendations check out our Lightweight Backpacking Gear Guides.